These photographs depict friendship between people. 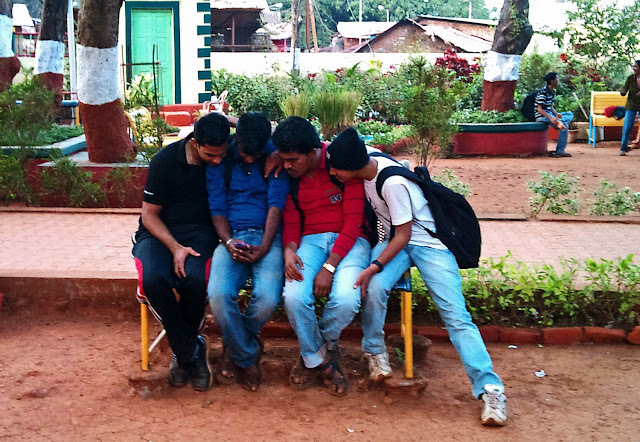 This picture was taken in a park in Matheran. This group of college students are engrossed in checking out something on a cell phone. Their body language clearly shows their closeness. 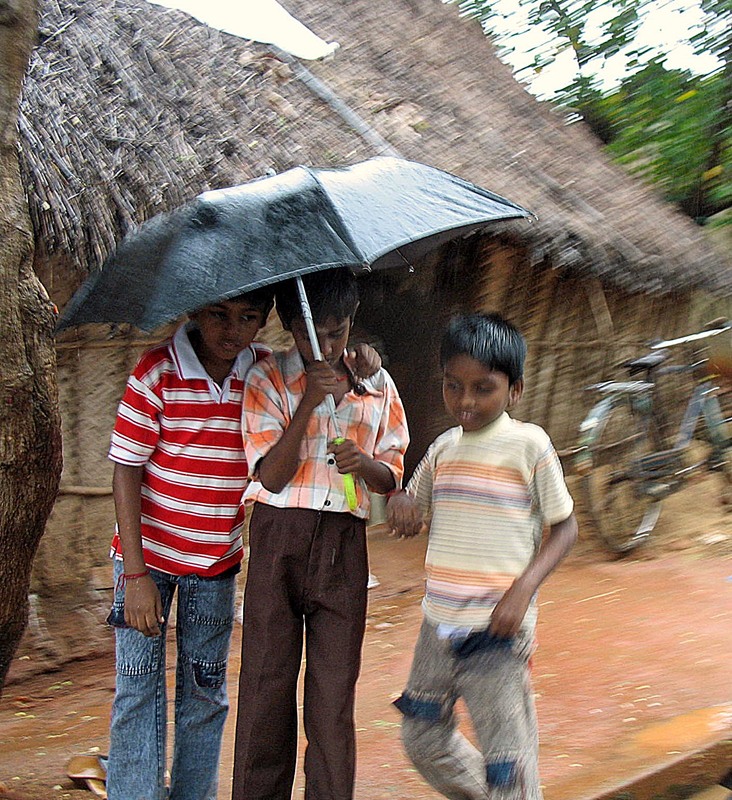 This is a picture of three young boys sharing an umbrella. 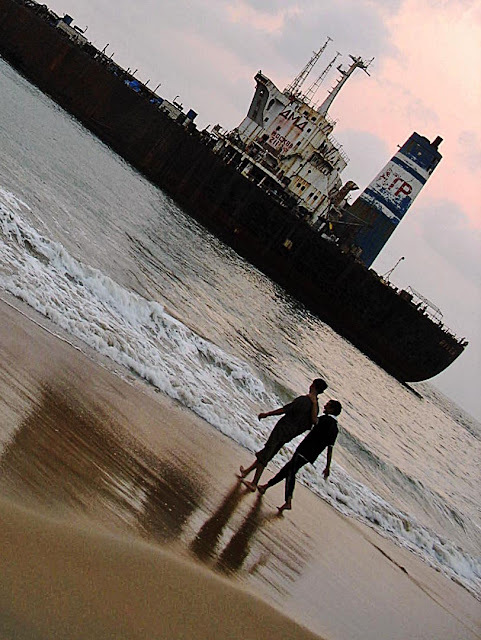 The photograph was taken in Puducherry. 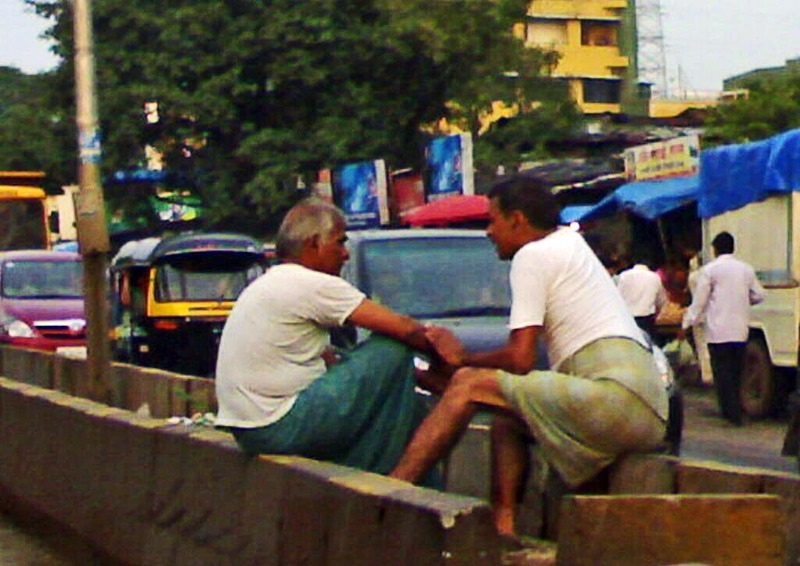 This image shows two men, probably labourers, chatting while sitting on a divider in the middle of the road in Mumbai, quite oblivious to the traffic! 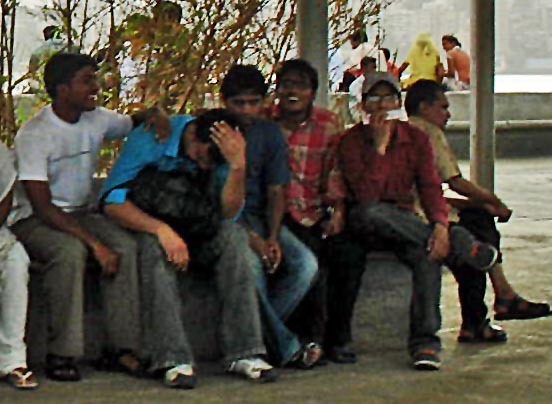 This group of young men are sharing a joke at a bus-stop. Waiting with friends is never boring. These two youngsters are walking towards the sea at a beach in Goa.